What happens when you take on the establishment? 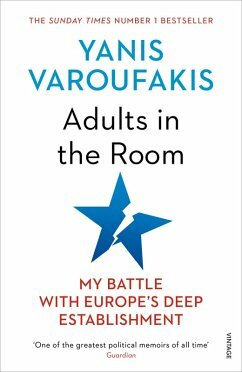 In this blistering, personal account, world-famous economist Yanis Varoufakis blows the lid on Europe's hidden agenda and exposes what actually goes on in its corridors of power. Varoufakis sparked one of the most spectacular and controversial battles in recent political history when, as finance minister of Greece, he attempted to re-negotiate his country’s relationship with the EU. Despite the mass support of the Greek people and the simple logic of his arguments, he succeeded only in provoking the fury of Europe’s political, financial and media elite. But the true story of what happened is almost entirely unknown – not least because so much of the EU’s real business takes place behind closed doors. 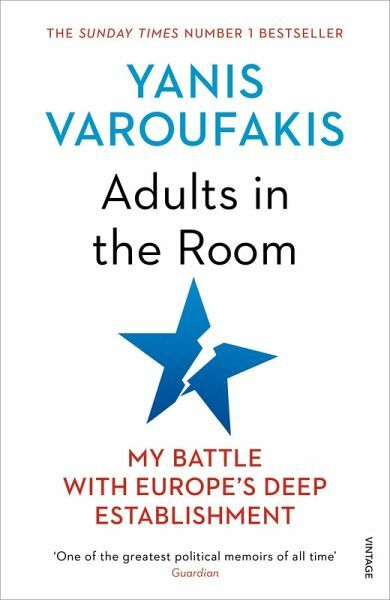 In this fearless account, Varoufakis reveals all: an extraordinary tale of brinkmanship, hypocrisy, collusion and betrayal that will shake the deep establishment to its foundations. As is now clear, the same policies that required the tragic and brutal suppression of Greece’s democratic uprising have led directly to authoritarianism, populist revolt and instability throughout the Western world. Adults In The Room is an urgent wake-up call to renew European democracy before it is too late. Dieser Download kann aus rechtlichen Gründen nur mit Rechnungsadresse in HR, A, B, BG, CY, CZ, D, DK, EW, E, FIN, F, GB, GR, H, IRL, I, LT, L, LR, M, NL, PL, P, R, S, SLO, SK ausgeliefert werden. "The most jaw-dropping segments are the accounts of phone calls and closed-door meetings – often verbatim, courtesy of his secret recordings – between ministers and technocrats ... We see duplicity and cynicism ruling supreme .. A convincing critique ... Our own government should take note"